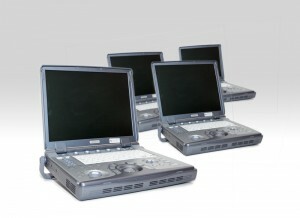 Companies with large budgets have always benefitted from deep discounts when purchasing multiple ultrasound machines. However, if you don’t have deep pockets, you don’t have this option. You’re stuck paying a higher price by purchasing single units over time. These limits affect small hospitals, businesses, and researchers who don’t have the budget or credit to afford multiple ultrasound machines. Additionally, purchasing in bulk is risky for most businesses because it can become a very costly mistake if the ultrasounds aren’t being used. We have the solution. In fact, most find that it’s a better solution because the benefits and savings are superior to what you’d receive in an outright purchase. With Providian’s expanded ultrasound rental program, institutions and growing businesses can save their cash and rent multiple ultrasound machines. This program eliminates the risks of a bulk ultrasound purchase/lease, while providing tremendous benefits. Research institutions and businesses are already seeing profits and success through our program. Our customers are renting anywhere from 3 to 35 systems, something that wasn’t possible without our ultrasound rental program. Of course, you don’t have to rent multiple ultrasound machine to receive many of these benefits. This bulk rental program is an expanded version of our highly successful ultrasound system rental program where you can rent a single ultrasound machine. This expansion was created to meet the needs of our customers and provide an advantage that wasn’t possible. Don’t want to rent? 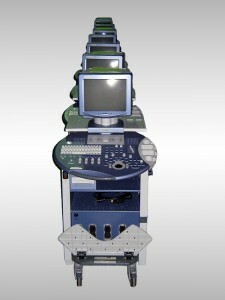 You always have the traditional option of purchasing ultrasound machines in bulk from Providian Medical Field Service. A largely unrealized benefit how it continues to save money. Here’s why: All rental systems are under warranty during your rental period. It’s like having a free, continuous service contract. In other words, you don’t need to purchase an extended warranty or renew your service contract every year. You’ll save a minimum tens of thousands of dollars every year. And this isn’t a watered-down version of a true warranty. Our ultrasound rentals carry the same warranty provided in a standard ultrasound purchase. This also includes our industry leading loaner program that limits downtime and saves time, money, and frustration. Contact us today and get a free price quote by filling out the form below, or calling an expert sales representative at 877-661-8224. Complete the form below and we will return a rental quote to you within 48 business hours. For faster service, call us at (877) 661-8224.